Did you know that? 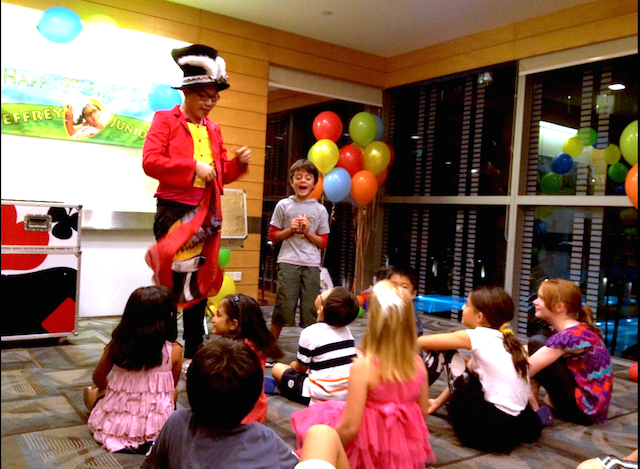 Children’s Day has been celebrated in Singapore since 1961, even before Singapore’s independence from Malaysia in 1965! Children’s Day is a day recognised to promote the welfare and wellbeing of children and also to celebrate childhood. 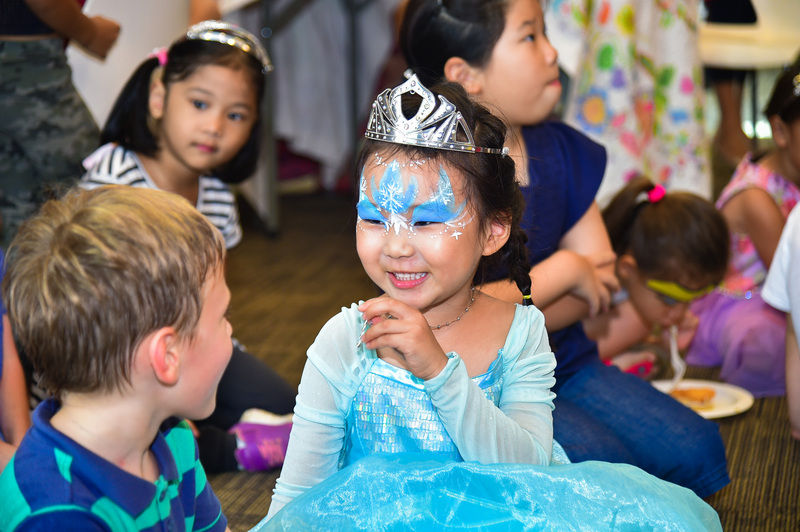 Celebrate Children’s Day with PartyMojo and enjoy 1 HOUR FREE Face Painting worth S$120! How do I get the 1hr Free Face Painting?? 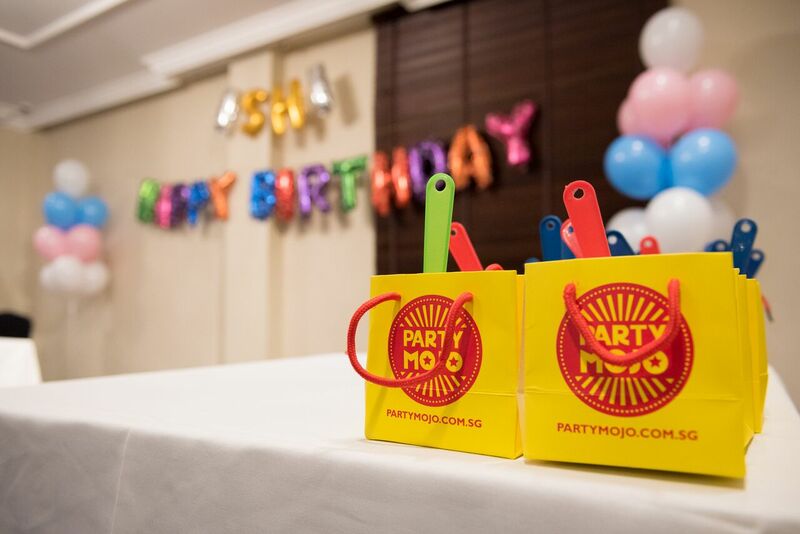 Simply like PartyMojo Facebook and Instagram Page! 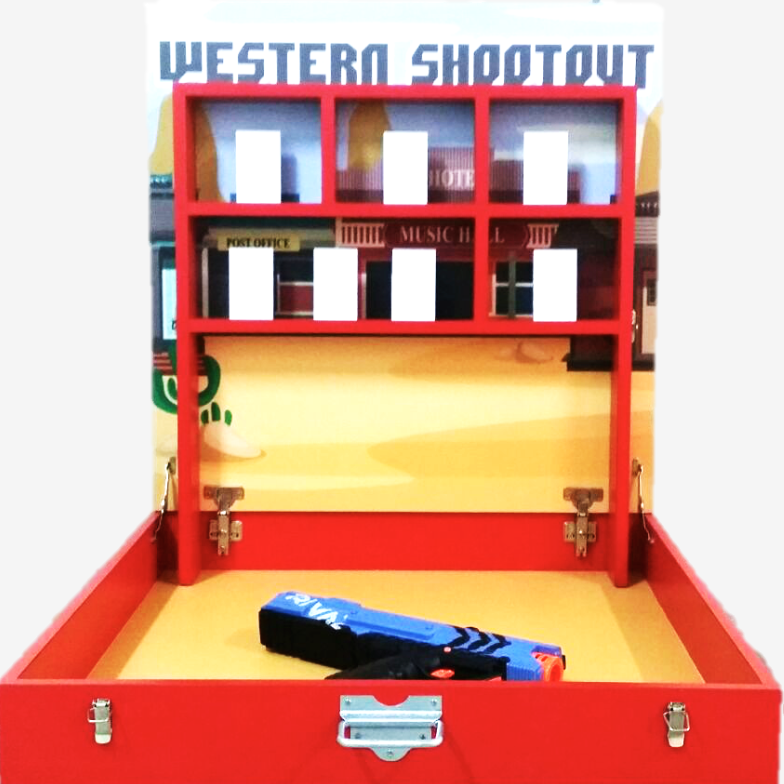 Quote “ChildrenDayMojo” to our friendly sales team before checkout. Only valid for event held between 28th September 2018 to 14th October 2018. Minimum spending $500 before GST. 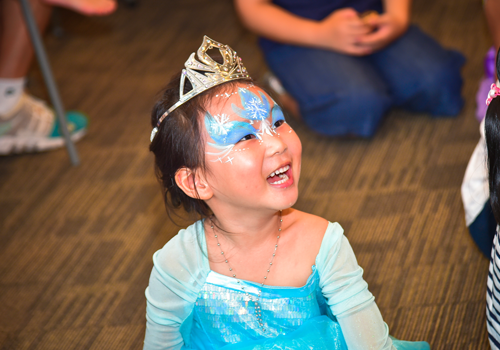 Receive 1 hr FREE Face Painting! Like PartyMojo Facebook and Instagram Page. Promotion is valid from 14th August to 7th October 2018. Promotion is only for immediate use and cannot be brought forward or transferred. 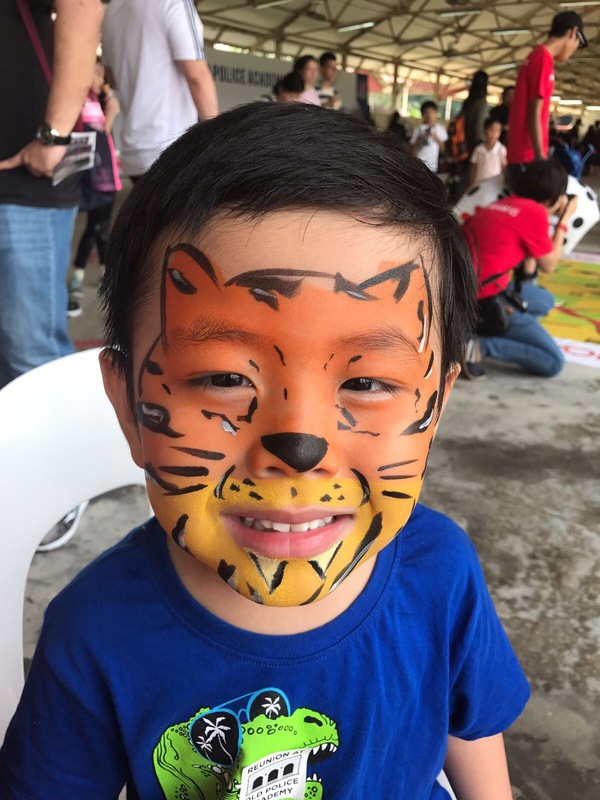 Extension of face painting services is available at S$100/ hour. 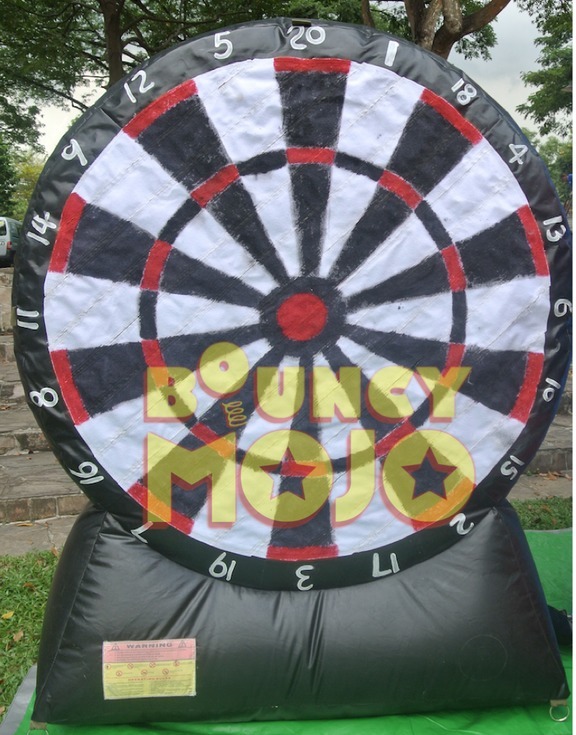 Promotion is subjected to Terms & Conditions of PartyMojo Pte Ltd.
PartyMojo reserves the right to amend any T&C without prior notice. Like our Facebook and Instagram here! 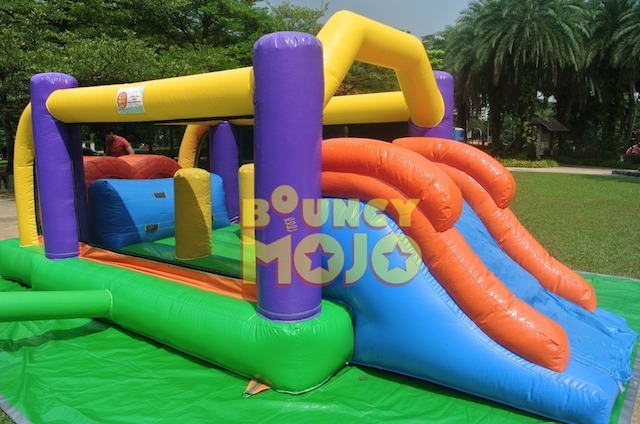 Top 5 Bouncy Castle for Children’s Day! Oh boy, Bouncy Castles! Don’t kids just love them? 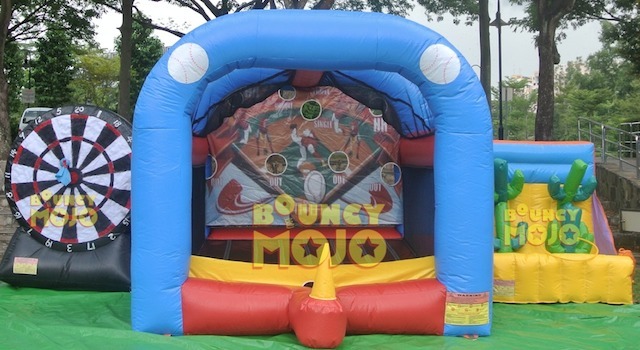 Add that extra bounce in your event with our bouncy castles! 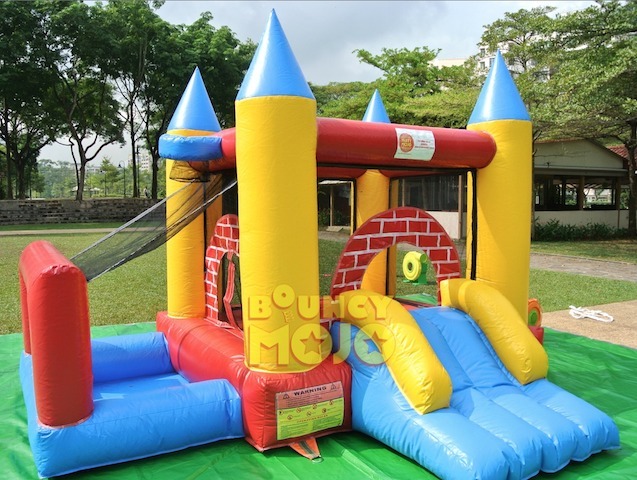 Be spoilt for choice by our in-house bouncy castles with 19 different kinds of castles to choose from! 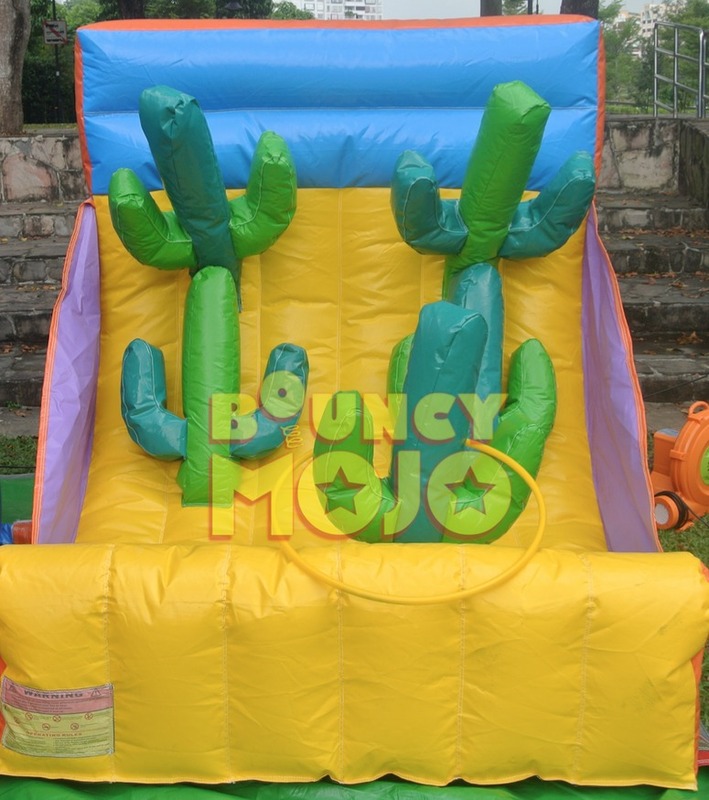 You’re bound to find that one perfect bouncy castle that the children will love! Why mess with the classics? 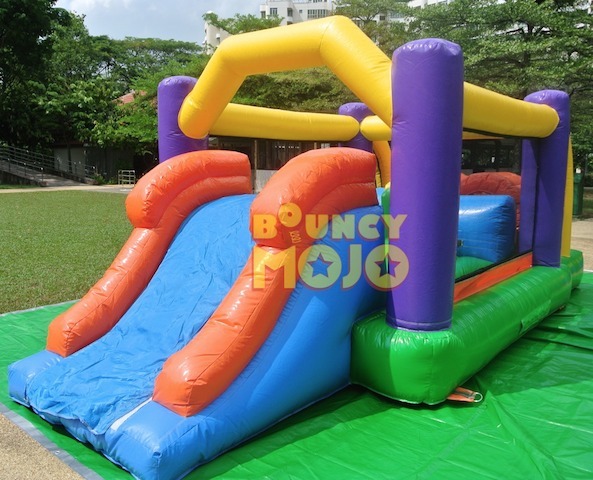 The Bouncy Playground is looks exactly like how you would expect a bouncy castle to look! 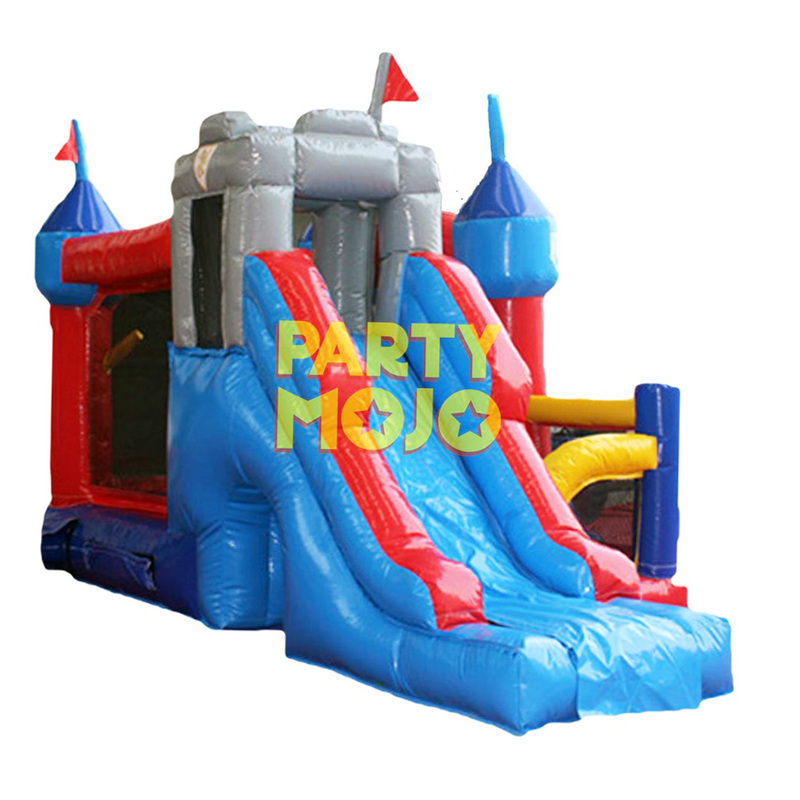 With four little turrets, a slide, and a bouncy area, this castle is a traditional one – but it comes with a surprise! 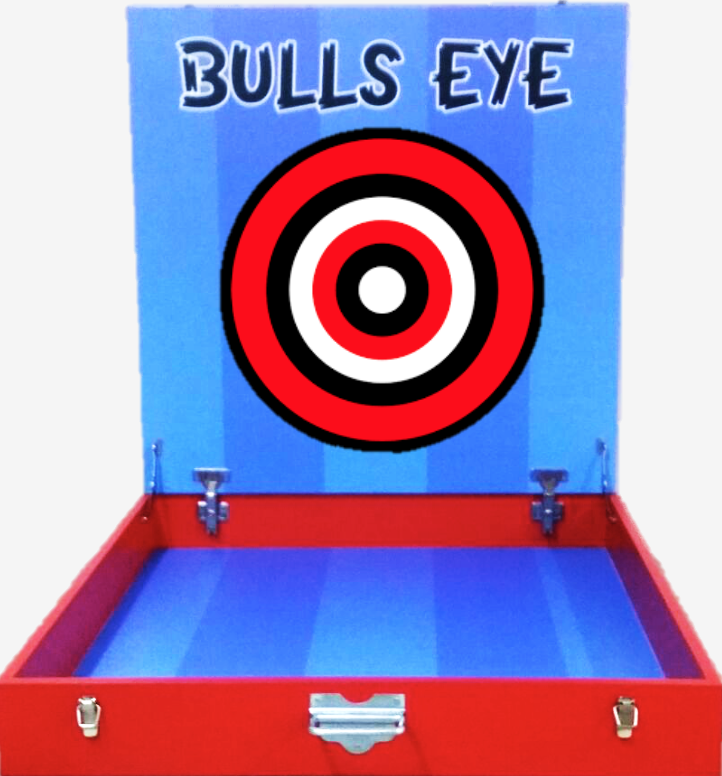 It even features a basketball hoop so your kids can try their hand at aiming! 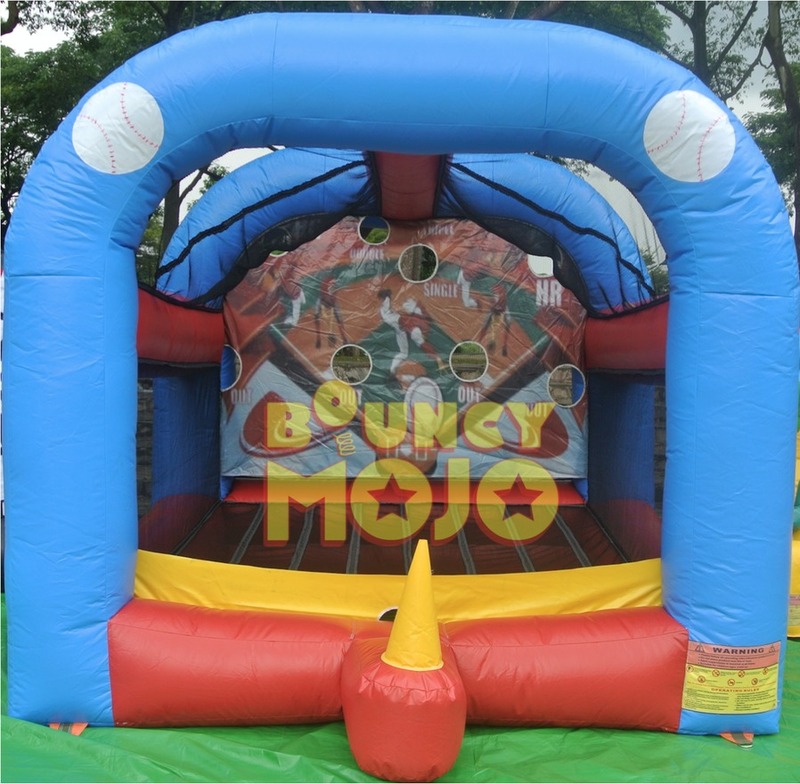 Bouncy castles add that extra oomph! 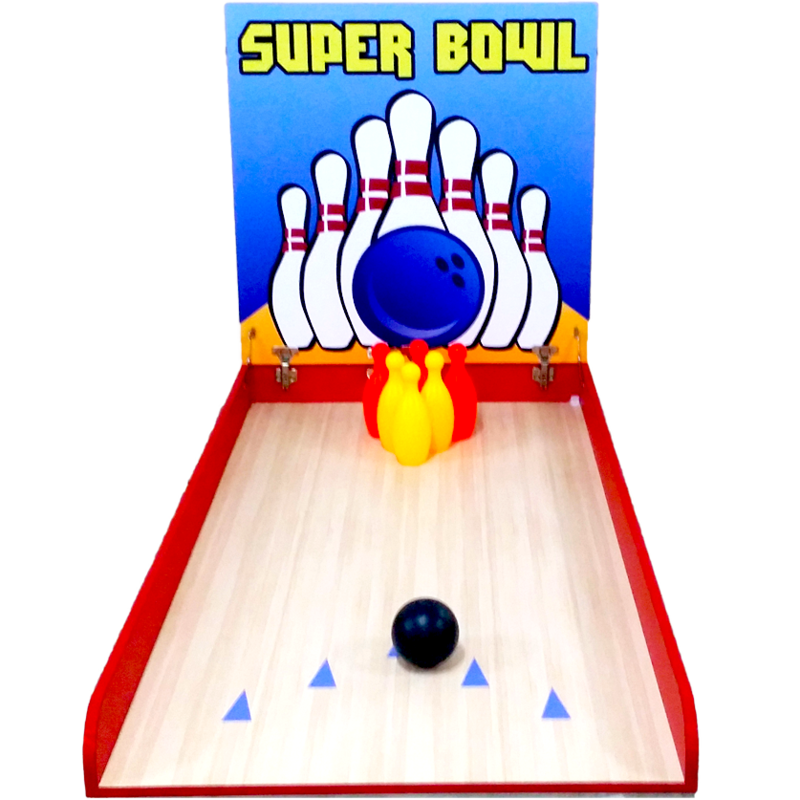 to your party, making it a memorable event that is enjoyed by all. 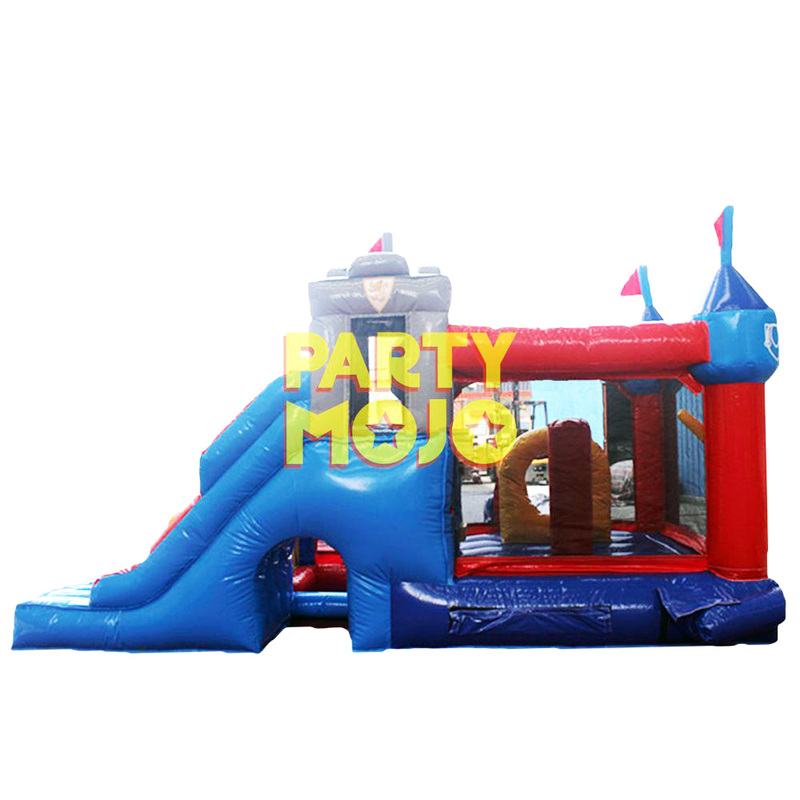 Perfect for: a party of as many kids as your party can host, but only 6 kids at the same time on the castle! *Weekday rates are not applicable for public holidays, eve of public holidays, and Children’s Day. 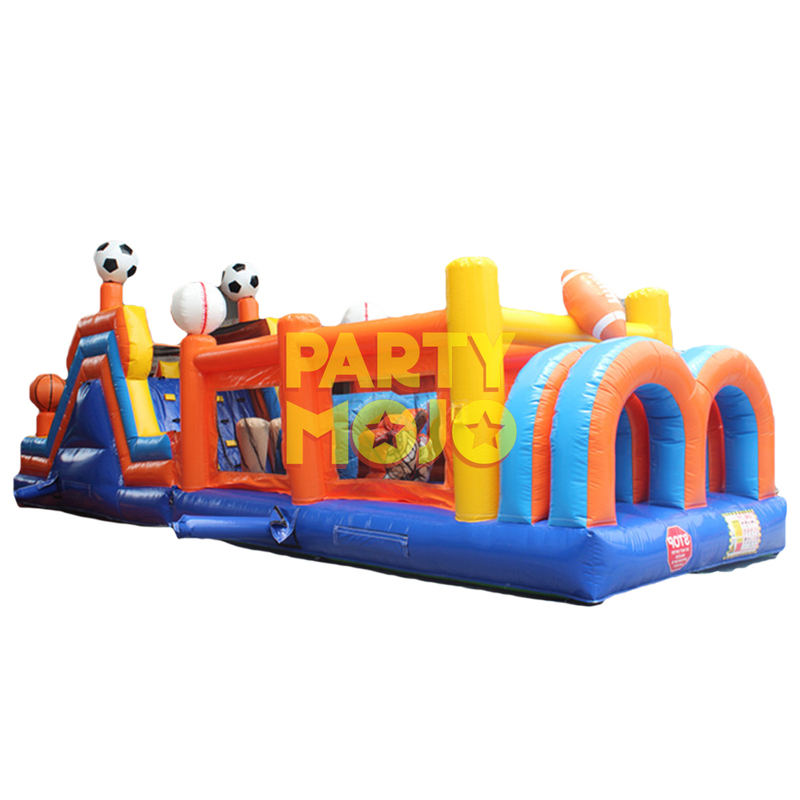 Let your child explore his/her athletic side with this inflatable obstacle course! 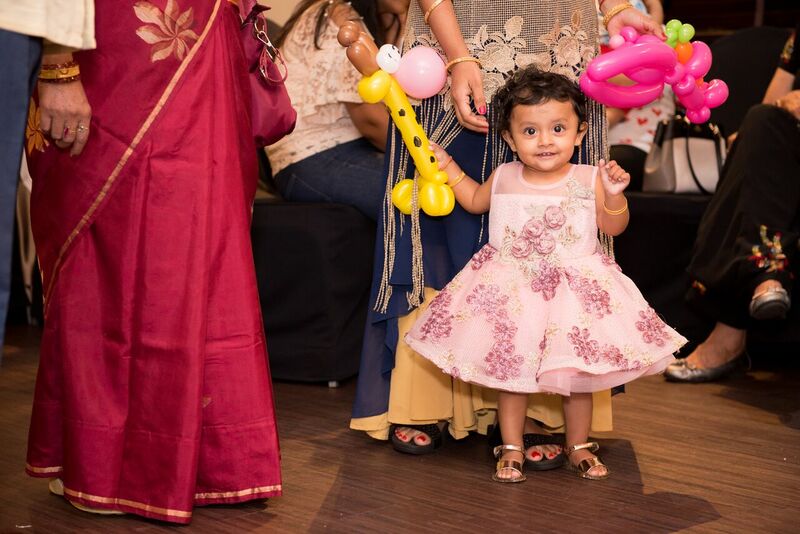 Sprawling and colourful, with many segments, it is bound to excite your child and the other guests! Let them have a friendly competition! 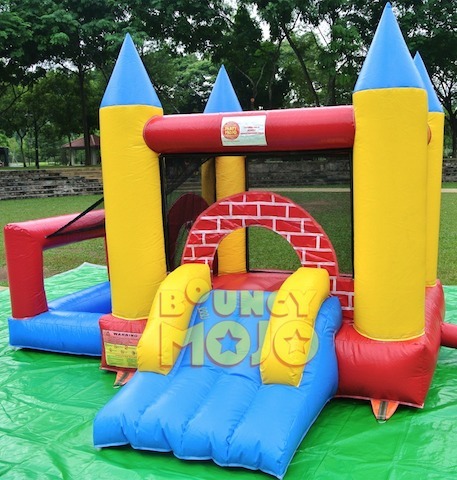 Perfect for: a party of as many kids as your party can host, but only 8 kids at the same time on the castle! It’s not the Olympics, it’s not the Youth Olympics, not the Fifa but you’re in the sports spirit! 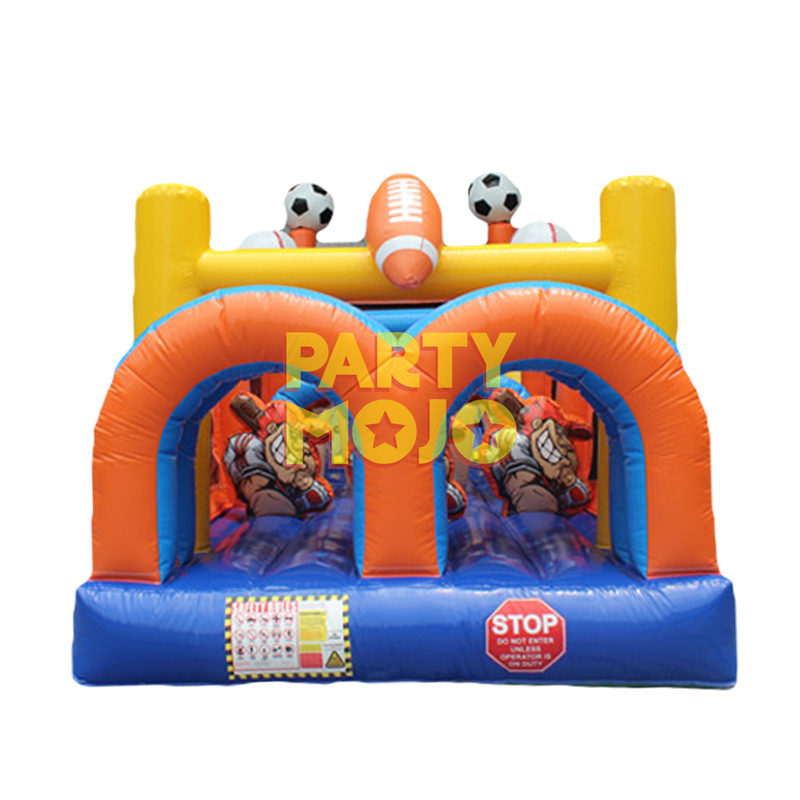 Think no further, get your hands on PartyMojo’s Sports Arena, one of PartyMojo’s biggest bouncy castles yet! 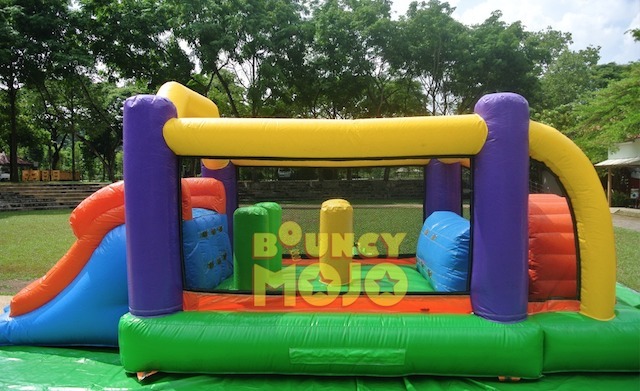 Perfect for family day, corporate events, equipped with sporty obstacles high and low, your guests can bounce, crawl through, tumble over, and even run across our 12 metres long bouncy castle. Not to mention, climb, and of course, the mandatory sliding! 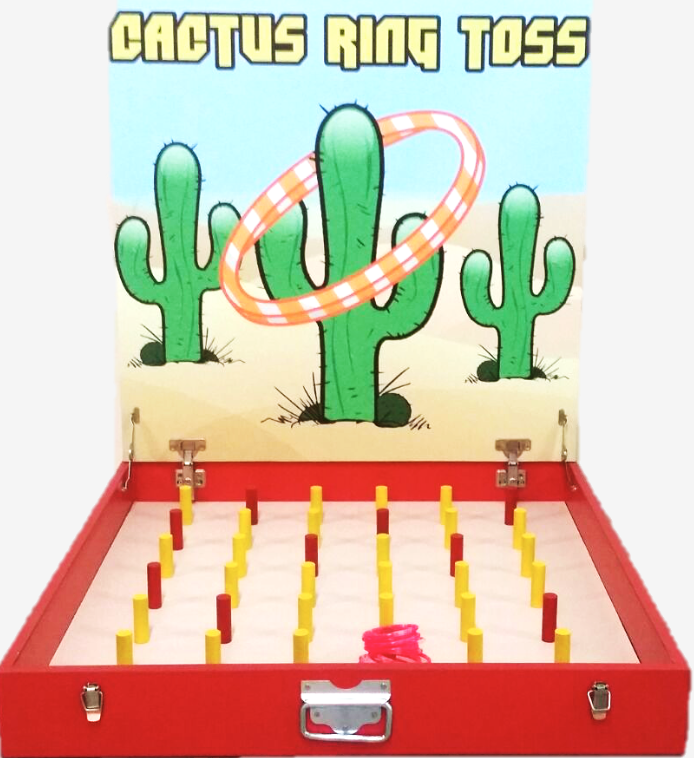 Right on fashioned like a sports arena, with zesty colours, a variety of balls and obstacles, this bouncy is the one-off play zone your child would indulge right in! Call us this season! 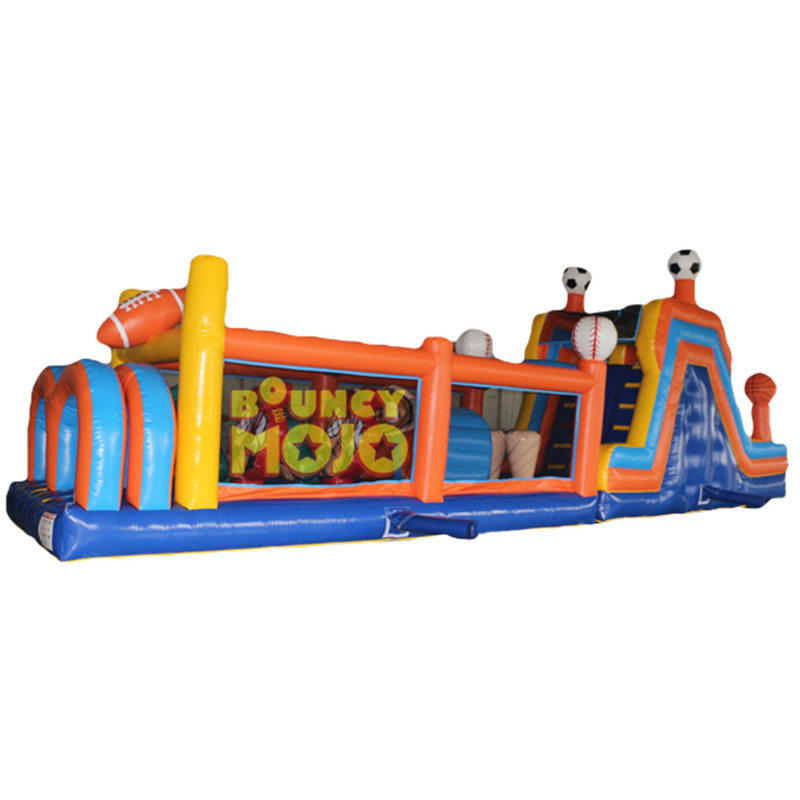 Perfect for: a party of as many kids as your party can host, but only 20 kids at the same time on the castle! Imagine lions, imagine the Circle of Pride! 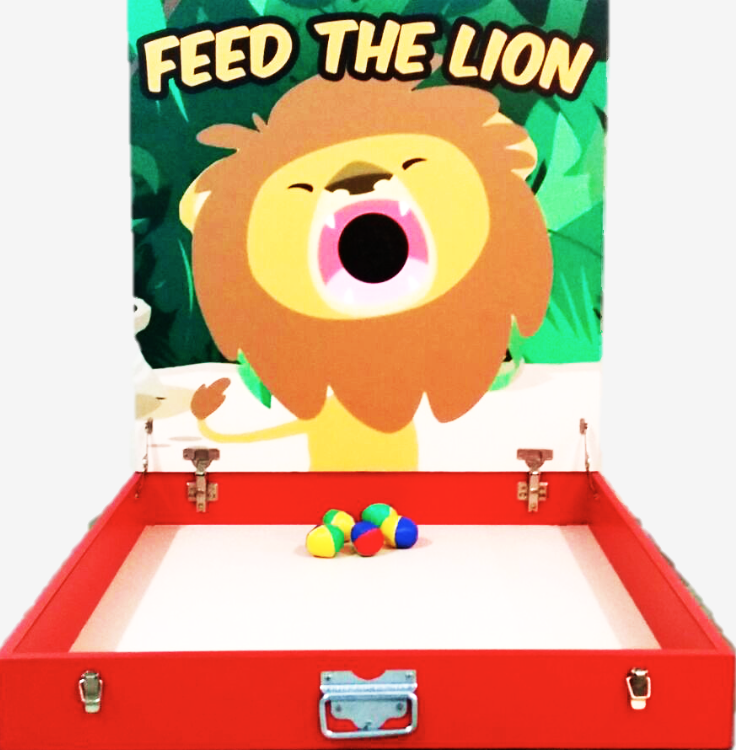 You can now have a land of Lion Kingdom at your very own party! 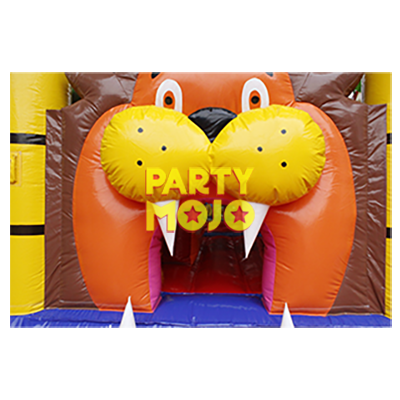 Over a spread of 5.2 x 5 metres standing at a safe 3 metres tall, our Lion Kingdom bouncy castle is exactly what you want for your child’s safari themed party. 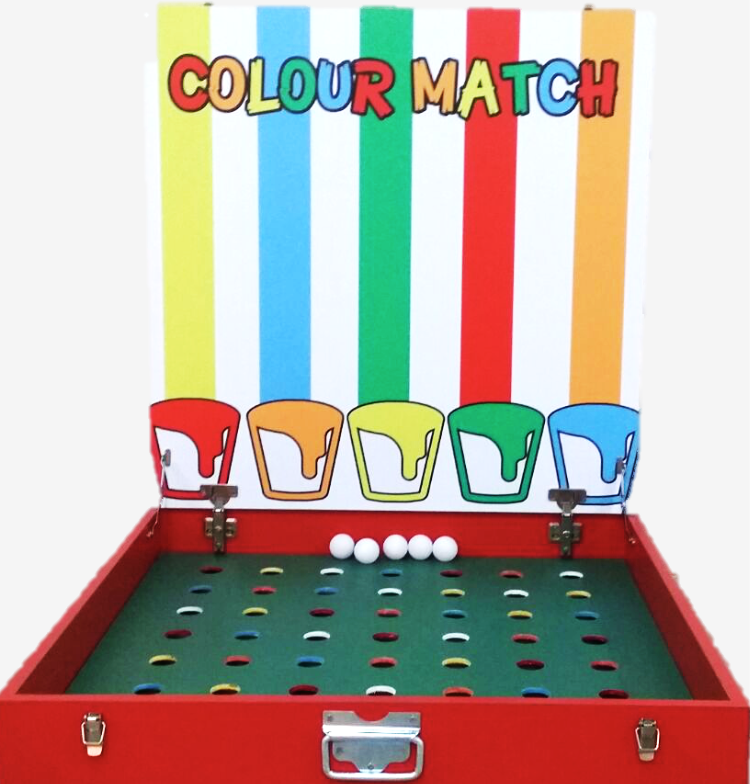 Loomed in all the vibrant colours, yellow, green, red and blue, we dare you to enter the doom of the Lion’s roaring mouth! Call us at PartyMojo now, for this awakening experience! 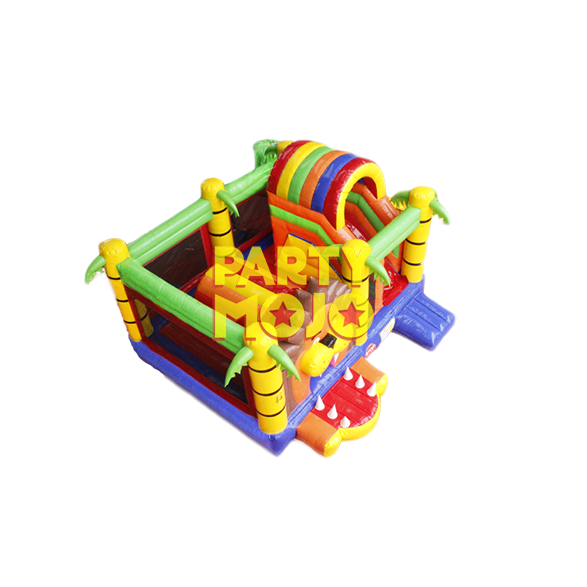 Perfect for: a party of as many kids as your party can host, but only 12 kids at the same time on the castle! 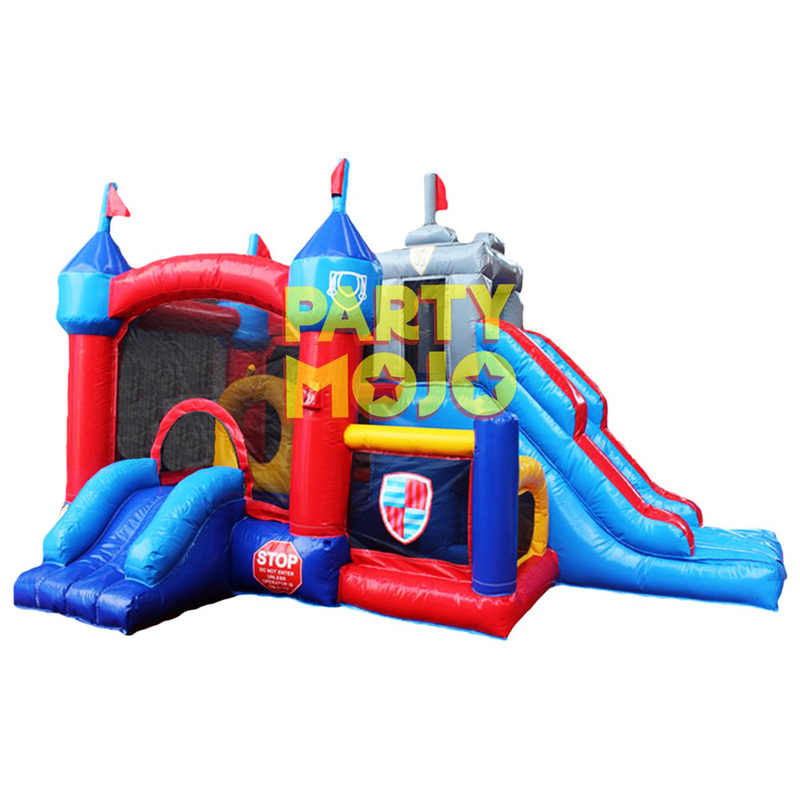 The 8-in-1 Bouncy Castle Combo has everything you need to keep the children at your event entertained for hours. Combining 8 different activities, The children will be sliding climbing, tunnelling and of course bouncing their way to a fun-filled day. 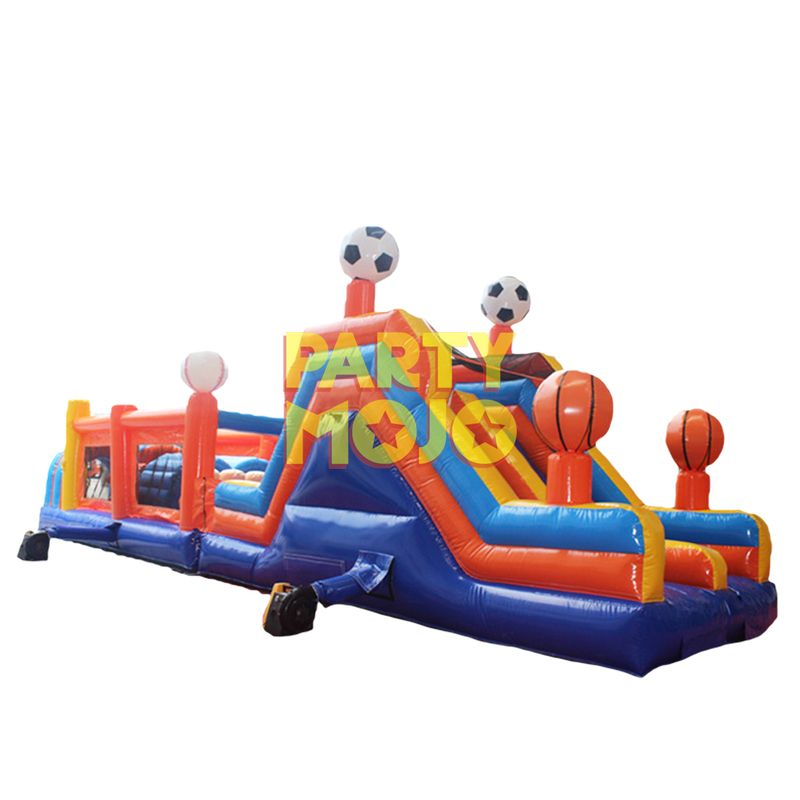 Looking to the centre of the inflatable bouncy castle, there is a basketball style hoop, climbing wall and an all time favourite ball pit, this bouncy castle one of the most active play-centres. 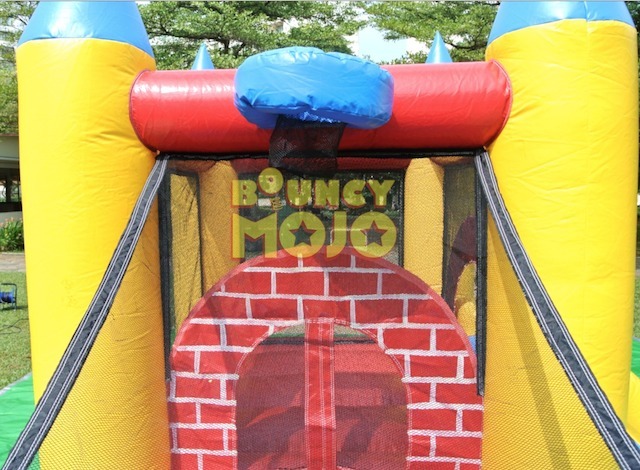 Made from a highly durable PVC, this bouncy is suitable for all sorts of school events, RC, CC events, carnivals, open houses and kids parties! 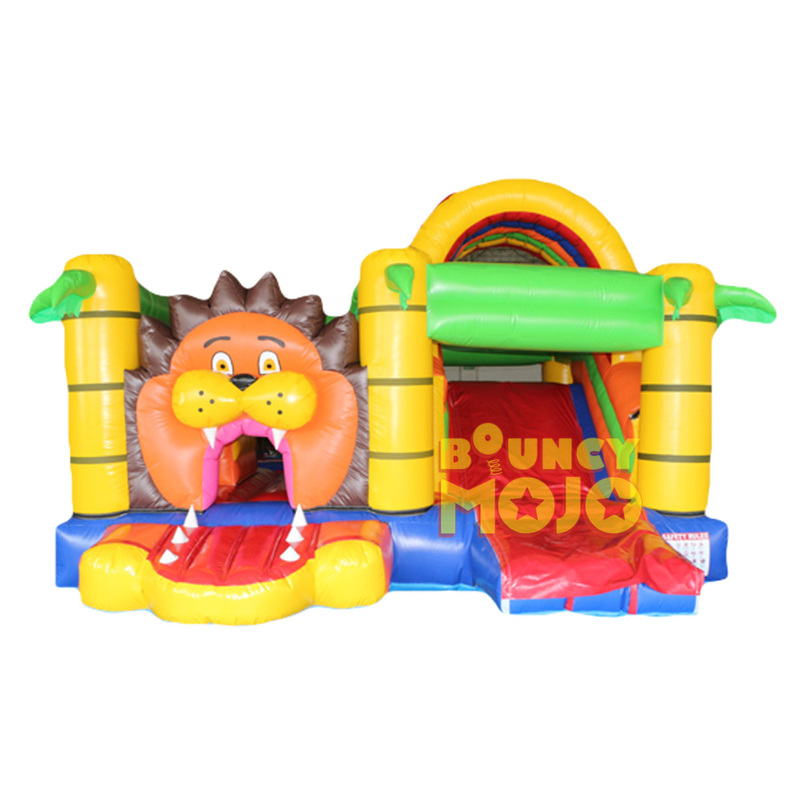 Check out our full range of Bouncy Castle here! 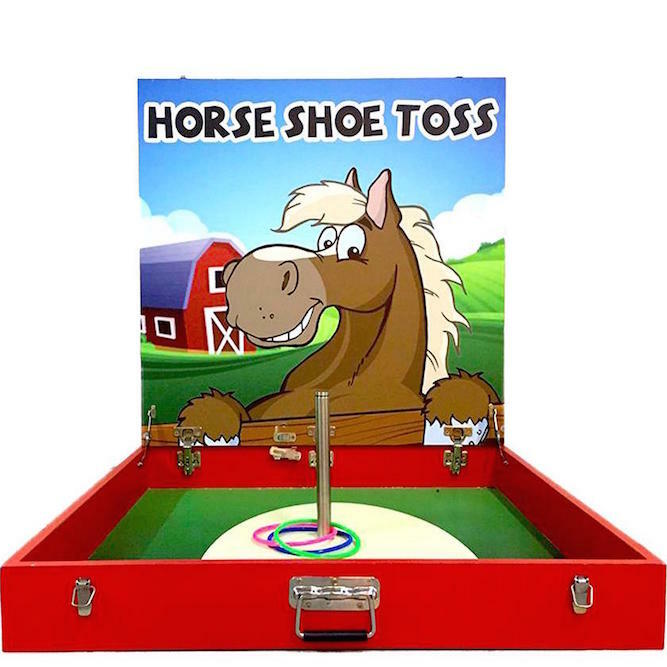 Perfect for: birthday parties, CC/RC/school events, corporate events! Why let someone else take center-stage? 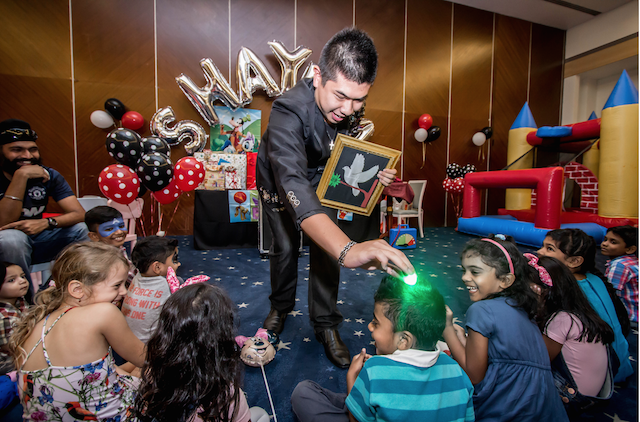 Let your child be part of the kids magician act and experience the magic first-hand! 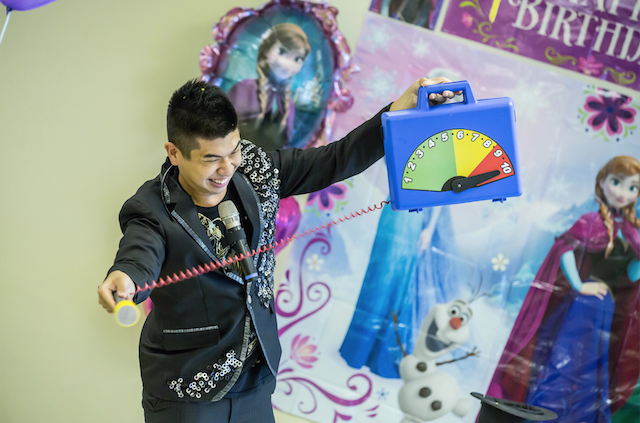 We believe the most engaging kind of magic show is the kind you participate in, and the funniest shows make the deepest impressions. 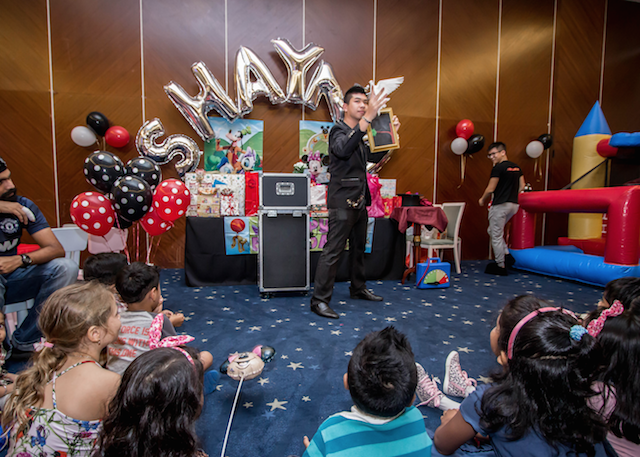 Let your child and guests enjoy the wonders up close and personal with this interactive magic show, guaranteed to send the children into peels of laughter! Volunteers would not only get to be part of the show, but would also receive a reward! That’s not all: complimentary balloon sculpting will be done before the kids magic show begins! 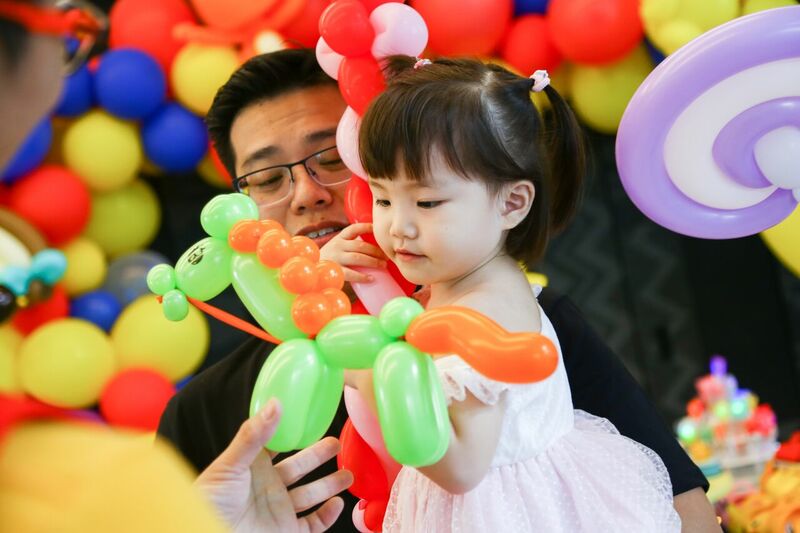 Watch with amazement as the sculptor twists balloons into cute things! 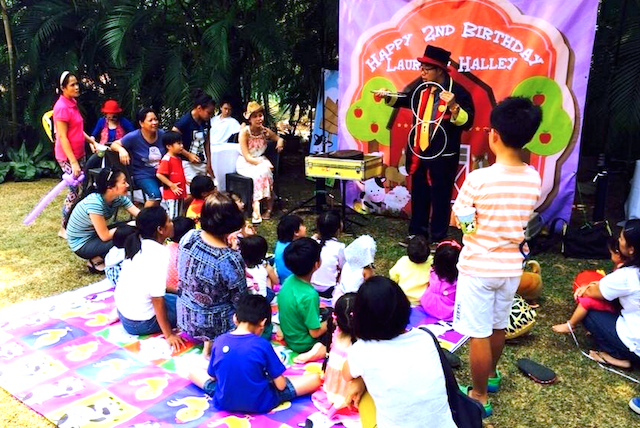 Make us your party-planner, and let us make magic for your party! 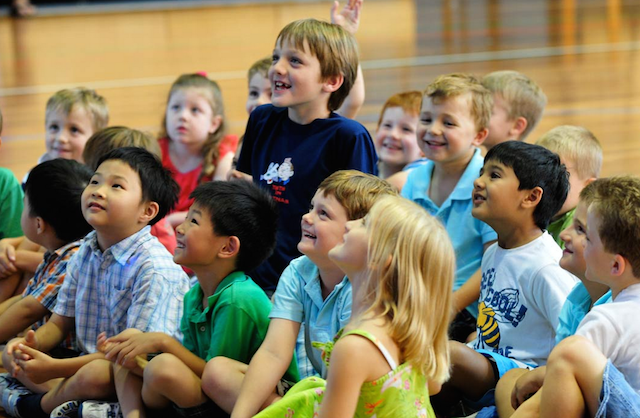 – Suitable for children of ages 3 to 6! – 30 mins of kids interactive comedy magic show! – FREE gifts for volunteers! – FREE hosting of cake cutting! 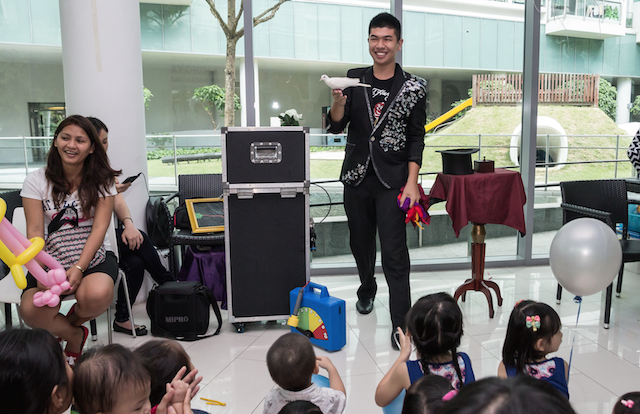 Astounding and stupefying, this magic show is bound to confound your guests regardless of what age group they fall in! High-tech and hilarious, our Magician makes use of LED screens to produce mind-blowing illusions. Have a giggle or be amazed watching the live birds carry out their performance! Chortle out loud at his comedic antics! Even the professional sound system is bound to impress! Highly and wildly enjoyable, this act is perfect regardless of the occasion, regardless of the age group.We even have a special promotion. Get this performance, and you will be treated to an hour of balloon sculpting. Have fun and watch him as he deftly maneuvers the balloons into something else entirely. You will not be bored, it’s a guarantee! 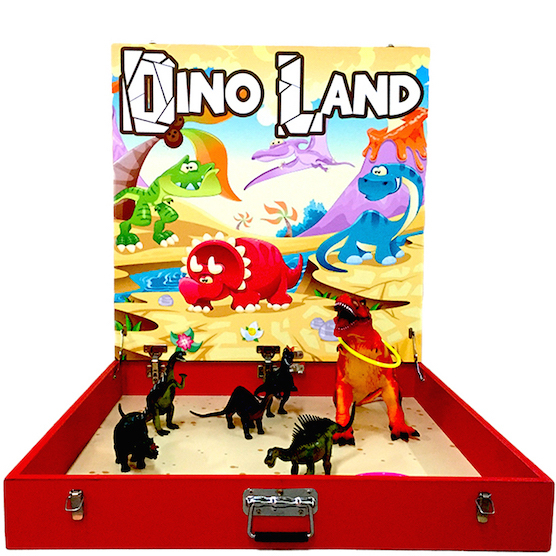 – Suitable for children and adults of all ages! – 30 mins of award winning live animal magic show! 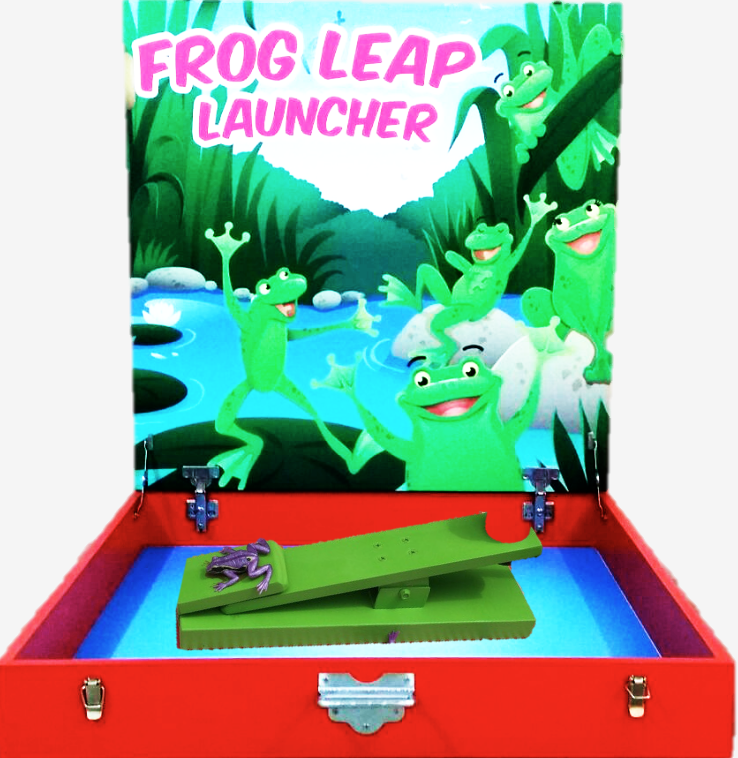 – High Tech LED illusion act! – Award winning bird act! I have about 100 kids, will all of them get balloons? 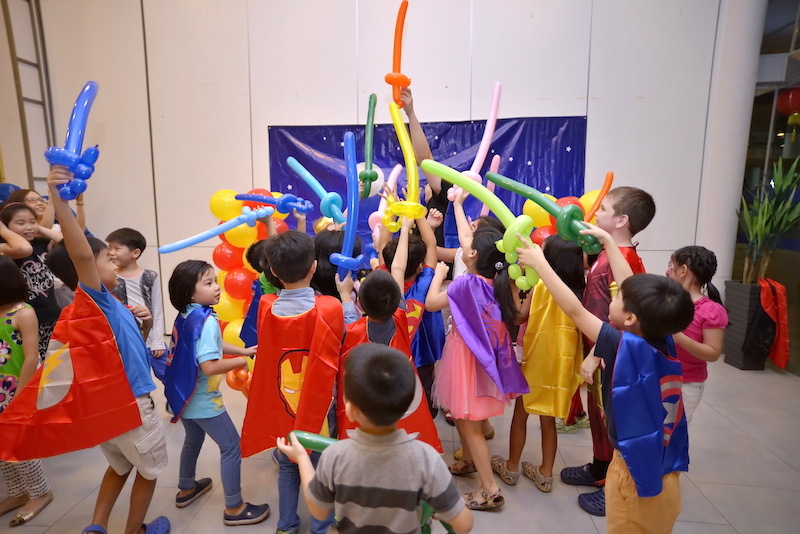 We will try to ensure that all kids receive a balloon sculpture for Children’s Day! However, on average our balloonist is able to make between 20-30 balloon sculptures per hour. 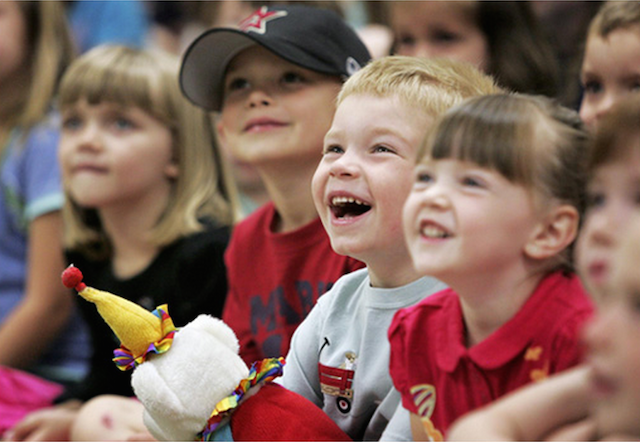 Please let us know the number of children so that we can advise on the number of hours for your event. Not enough time to prepare a costume for your little one? We’ve got you covered! 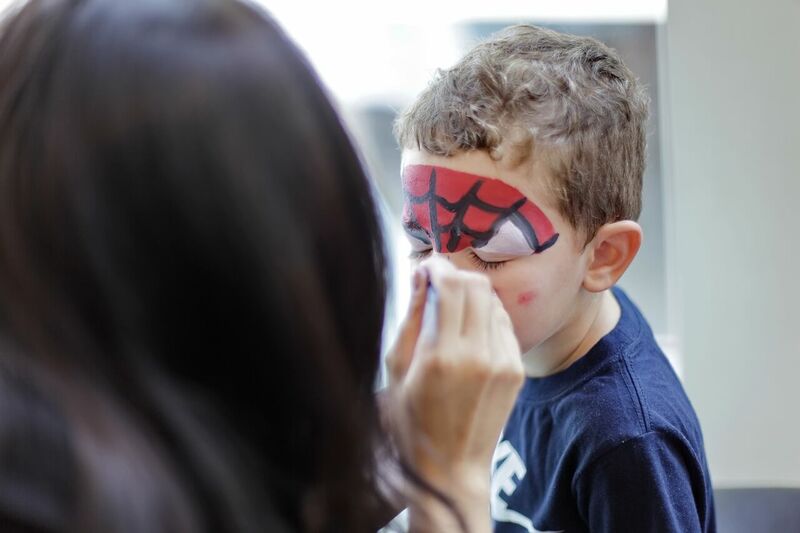 With our professional face-painting service, your child will be able to transform into his or her favourite character or animal and join in the fun! We use products that are safe for your child’s skin, yet have stunning colours. 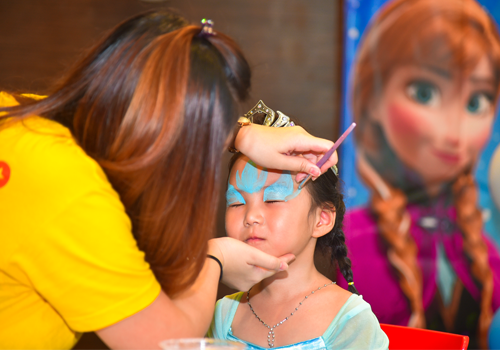 Our face-painters are also well-trained and can cater to many requests. Ensure that no one is left out with us now! *Price is not inclusive of tables and chairs required for the service. Is it easy to wash off? 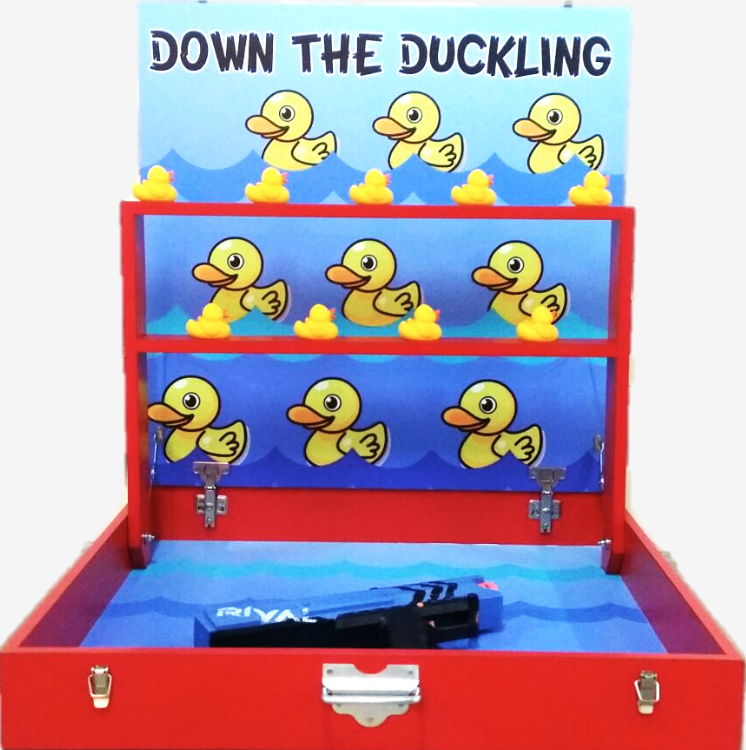 Yes, the face painting kits are all water-based and can be easily washed off with warm water. Will it do damage to my child’s skin? 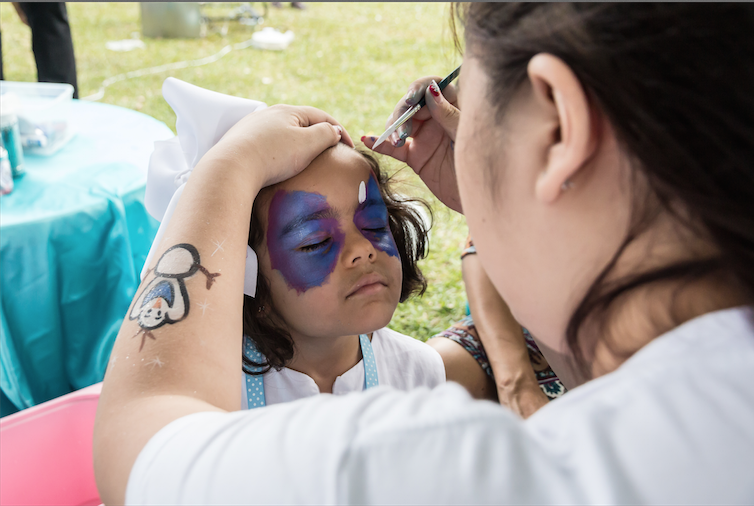 No, we use Snazaroo face paints are specially formulated to be friendly to the most delicate skin, fragrance-free and non-toxic! I have about 15 kids in my party, will all of them get face painted? 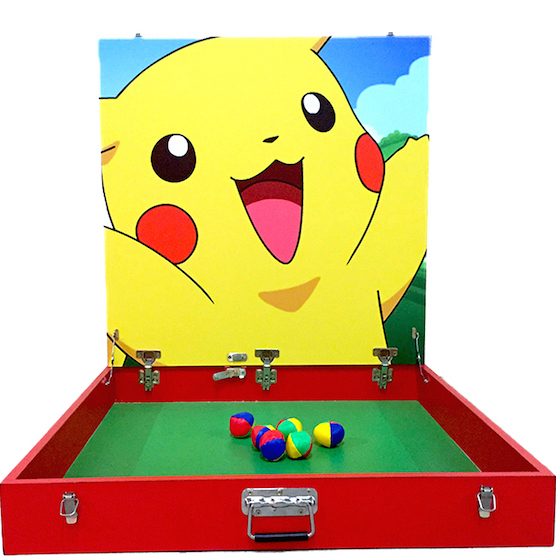 Yes, due to our expertise, all of them will be able to be face painted within the period. Of course, priority will be given to birthday boy/girl for more detailed painting that can include face and arms! Can we really paint everything? What if i have a theme to adhere to? Yes everything! 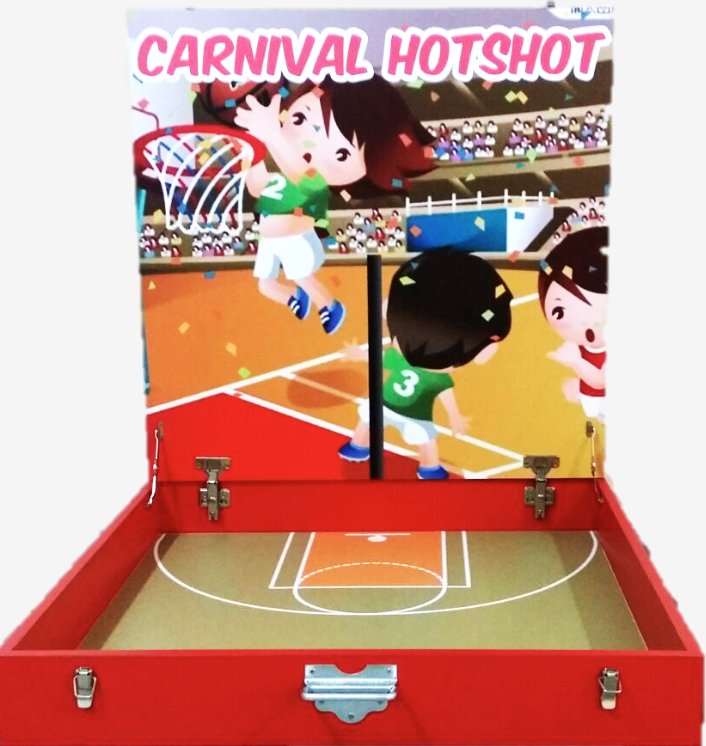 If there is a general theme ongoing, we will try our best to adhere to it by giving the children options with the different characters or designs in the theme. But of course, we would not reject a Dora request in an Ironman Party. 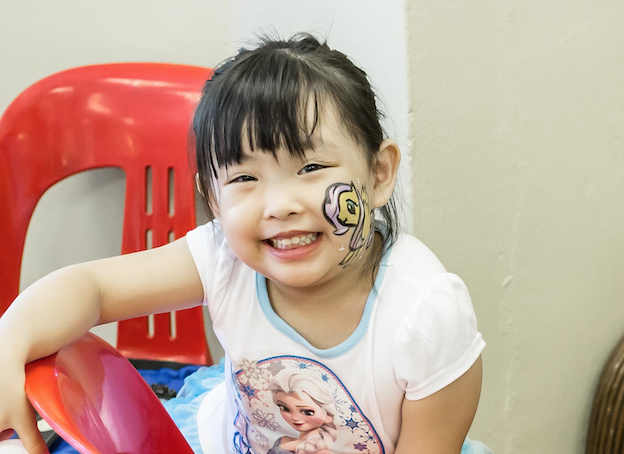 Extension of face painting services is at S$50/ half an hour. 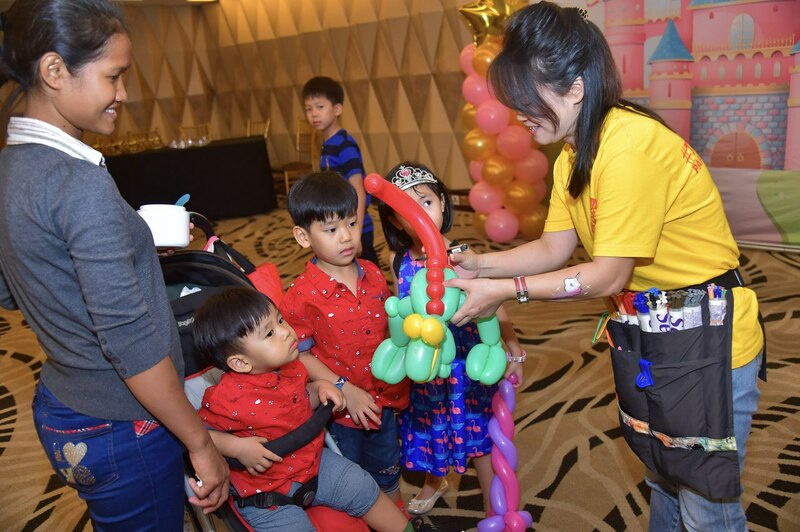 Whats inside our Children’s Day Goodie Bag? Can I order just your Children Day Goodie Bag? Definitely! Our Children Day Goodie Bags are priced at $3 each. Please contact us for more details! Do I need to book in advance for Children Day Goodie Bag? Yes! We will really appreciate it if bookings are made at least 1 weeks in advance! 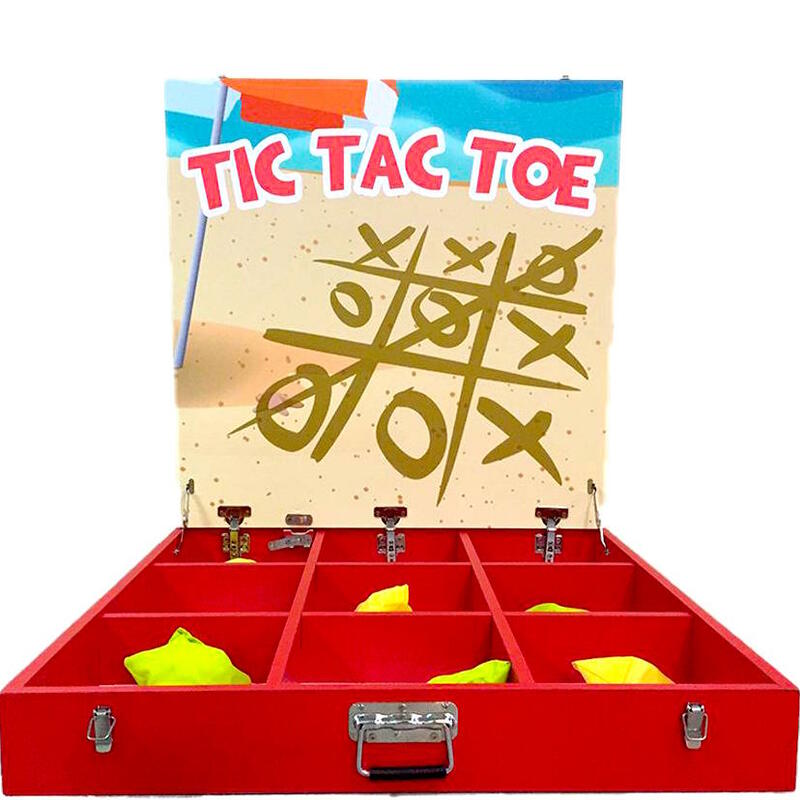 If I want to include my own items in your Goodie Bag, are you able to help me with the packing? Yes, we are able to help you with the packing. 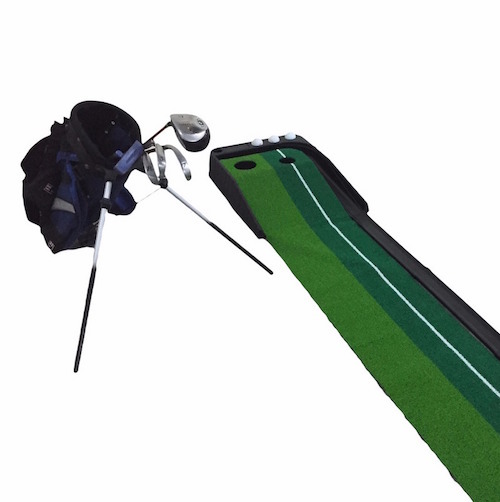 However, please send us the item at least 1 week in advance prior to the event. Also, please note that packing charges may apply. Contact us for more details! Children’s Day Popular Food Stations! 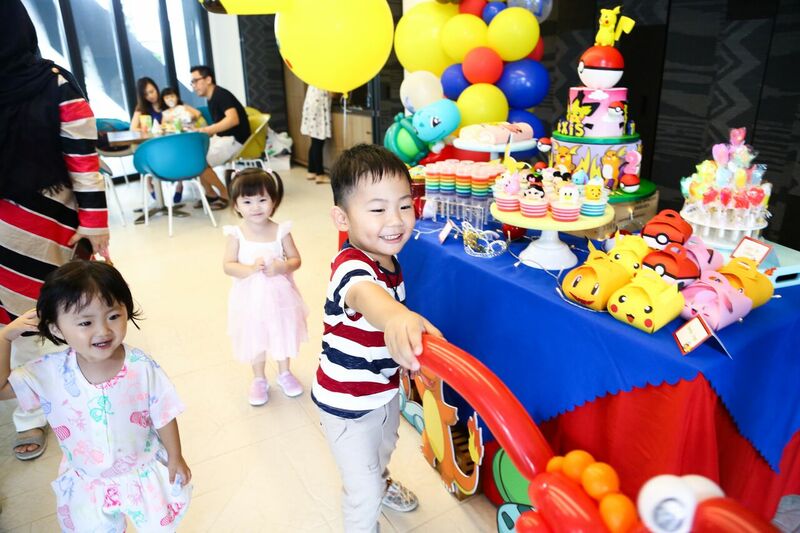 Can you guess which of PartyMojo’s food stations are the most popular among kids? Well if you guessed Popcorn and Candy Floss, you are absolutely correct! 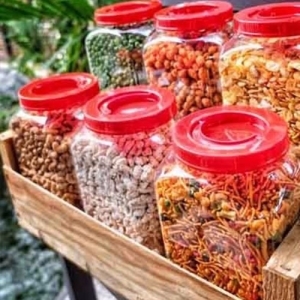 For Children Day this year, we have specially gathered all kid’s favourite food stations under this section! It can’t get easier than this! Still can’t seem to find what you are looking for? 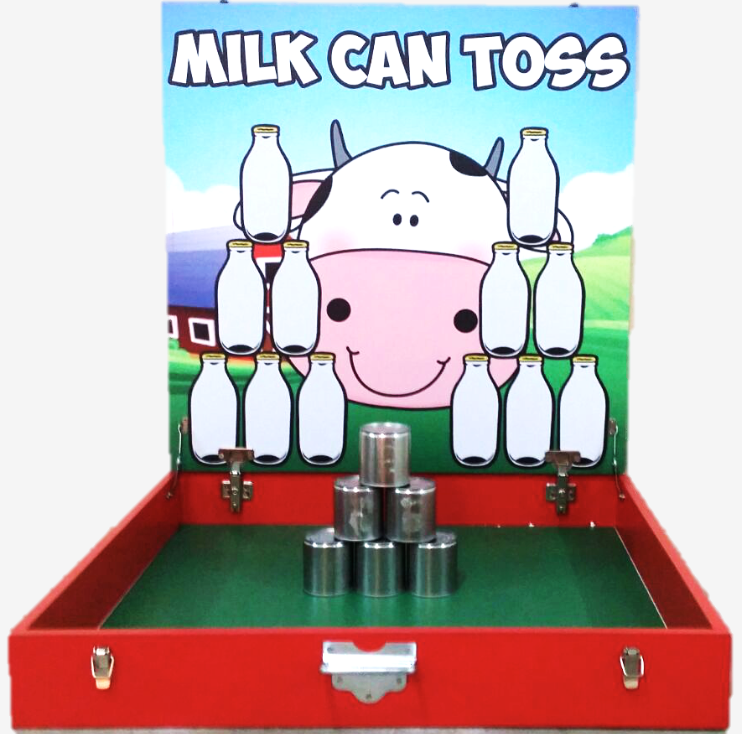 Check out our full range of food stations here! What are you waiting for? Call us at 65696992 or Yolanda 81606622 to enquire now! Or email us at [email protected] today!